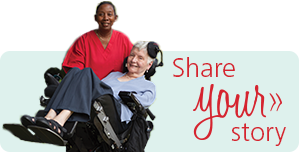 We are honored that you want to share your story with us! As a proud partner, we share The ALS Association’s mission of “putting a name and face to the letters A-L-S”. We strive to support the ALS community by allowing your voice to be heard and offering a sense of connection for others going through similar experiences. 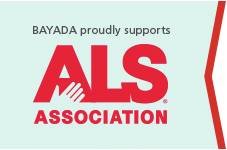 At BAYADA we celebrate those who go above and beyond for people with ALS they care for and are excited to hear more about how your BAYADA caregiver helps you and/or your loved one live better with ALS.